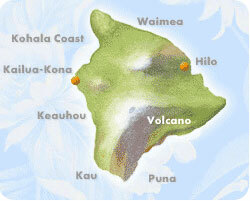 The nickname for Hawaii's largest Island is "the Big Island of Hawaii". It is also known by the name Hawaii which is also the name for the Island chain. Some people might think they want to marry on Hawaii might really want to marry on Oahu or Maui. It's not called big for nothing. Distances can be Huge! Most of you would stay in the Kona area and the rest in the Hilo area. Drive times between these two locations can be 5-7 hours each direction. It is worth exploring all of Hawaii but it is important to plan your wedding in the right area which is usually somewhere close to where you are staying. There is much to see including an active volcano, a lush rainforest to black sand beaches. The most popular beach wedding locations include Old Airport beach, Kukio, Kikaua, A-Bay, Wailea, Beach 69 and Hapuna. Choose your location: We assist you with wedding location advice. We offer beaches and the requisite permit, parks, churches and other private venues. Choose your vendors: We give you choices for minister, photographer and more... Our vendors have been selected based on experience, professionalism, excellence and their dedication. Choose a package or customize: We offer a variety of pre-determined packages that very popular. These wedding packages can give you an idea of our price but do know we customize the majority of our weddings.